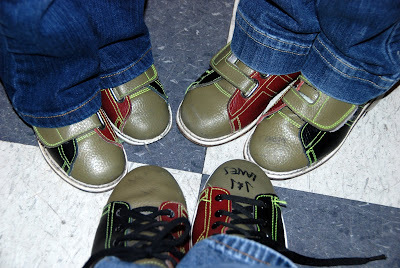 Could bowling shoes ever look cuter than they do on those four little feet at the top of the picture? Last Saturday we took our little family bowling. Yes, for the first time ever. (Okay, Jade's been once before with her friend Bella. Oh and she's been in a bowling ally as an infant). Ivy was a whiz at pushing the ball down her ramp. She kept yelling "I got the high score" every time it went down the lane. 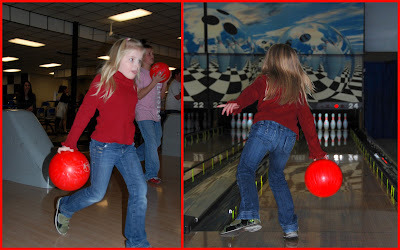 There was so much excitement in her little face that we will have to go bowling more. Jade took her bowling very seriously. She focused all the way down and tried hard to mimic the three step approach. There were even times she didn't need the bumpers. After one game, we called it quits. Scott won and Ivy took second. 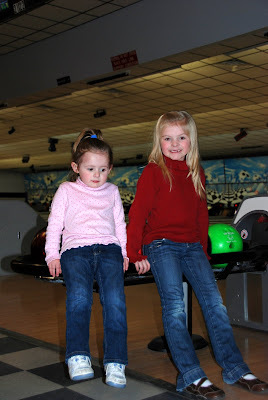 I think these girls could make bowling "cool" again. 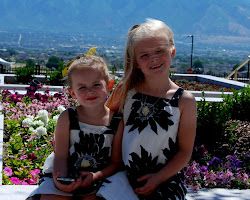 They look adorable!